JPK Instruments, a world-leading manufacturer of nanoanalytic instrumentation for research in life sciences and soft matter, works closely with users at the University of Sheffield where their NanoWizard® AFM systems are being used to further understand soft matter and biological systems at the molecular scale in the Hobbs SPM Group in the Department of Physics. Dr Nic Mullin is a senior experimental officer in the SPM Group of Professor Jamie Hobbs in the Department of Physics & Astronomy at the University of Sheffield. 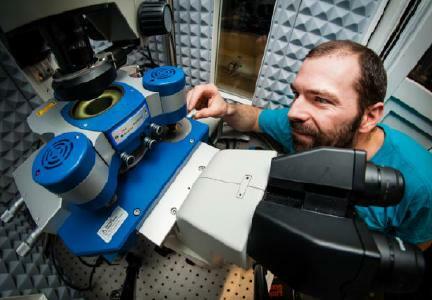 His research is based around instrument development for scanning probe microscopy for the study of soft matter and biological systems at the molecular scale. As well as applying existing methods and instrumentation, the group have the added challenge to develop new equipment and protocols to allow the study of different samples at higher magnifications applying new detection systems. 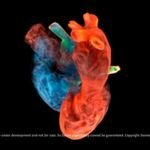 This has been formalised (for biological systems) in the Imagine: Imaging Life initiative, which brings together electron microscopy, super-resolution optical microscopy and AFM to study living systems. One of the major goals is to use AFM to provide information that complements the information garnered from the electron and super-resolution optical microscopies. 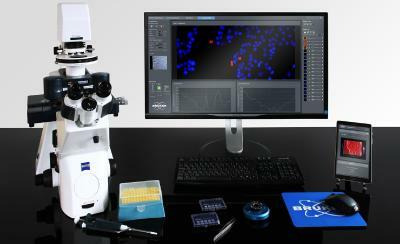 The Group has many years of experience using AFM. For example, having the resolution to see not just where molecules are and how they are arranged, but what their conformation is, is vital for many of the things they are interested in. Being able to resolve features with sufficient signal to noise ratio in real space is also a huge plus and means that they are not restricted to looking at systems that are static in time or spatially ordered. Also, the ability to make mechanical measurements, either as a contrast mechanism, or as an indication of structure/function is really useful. The ability to do all this under relevant conditions and without too many restrictions on sample preparation makes AFM a fantastic tool for the research of the Group. It makes selection of the appropriate systems vital in the quest of the Group to retain a position of leadership in the field. Choosing JPK has proved to be a successful choice. Dr Mullin takes up the story about their use of JPK AFMs and their integration with the other microscopies. "We work extensively with collaborators using transmission electron microscopy and super-resolution optical microscopies, often using these techniques to obtain complementary information. We use one of our JPK systems for correlative AFM-STORM. The raw performance of our JPK NanoWizard® systems is exceptional and the user interface is intuitive and well designed. 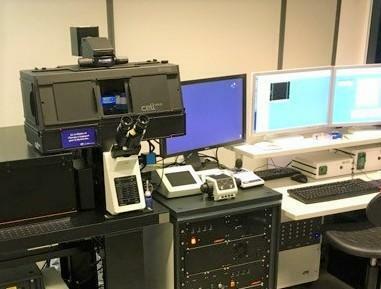 The integration with optical microscopy is extremely good. The system was clearly designed to work with biological samples in liquid. This really shows. It’s really straightforward to keep everything clean and free from contamination for example. The other big benefit is JPK themselves – we are interested in developing and optimizing our experiments, and JPK really support us with that, providing tweaks, workarounds, hacks and information that really allow us to expand our capabilities and the kind of things we can study – for this reason people from JPK are often acknowledged in our papers." 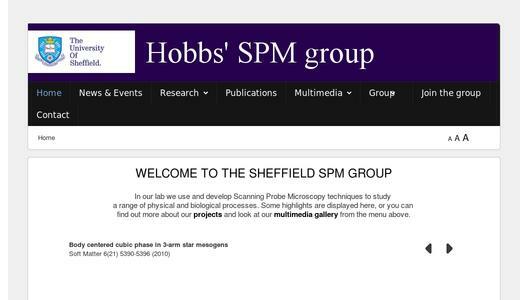 The SPM Group publishes extensively. Some of their most recent key publications may be viewed on Professor Hobbs’ web pages. For more details about JPK’s AFM systems and their applications for the materials, life & nano sciences, please contact JPK on +49 30726243 500. Alternatively, please visit the web site: www.jpk.com or see more on Facebook: www.jpk.com/facebook and on You Tube: http://www.youtube.com/jpkinstruments. JPK Instruments AG is a world-leading manufacturer of nanoanalytic instruments - particularly atomic force microscope (AFM) systems and optical tweezers - for a broad range of applications reaching from soft matter physics to nano-optics, from surface chemistry to cell and molecular biology. From its earliest days applying atomic force microscope (AFM) technology, JPK has recognized the opportunities provided by nanotechnology for transforming life sciences and soft matter research. This focus has driven JPK's success in uniting the worlds of nanotechnology tools and life science applications by offering cutting-edge technology and unique applications expertise. Headquartered in Berlin and with direct operations in Dresden, Cambridge (UK), Singapore, Tokyo, Shanghai (China), Paris (France) and Carpinteria (USA), JPK maintains a global network of distributors and support centers and provides on the spot applications and service support to an ever-growing community of researchers.